The trailer for the new movie “Abraham Lincoln: Vampire Hunter” hit the web yesterday, and the internet is already buzzing with rumors about a sequel. “Abraham Lincoln: Vampire Hunter” is adapted from the graphic novel by Seth Grahame-Smith, whom also wrote the screenplay for the film. In “Abraham Lincoln: Vampire Hunter,” the birth of the U.S.’s 16th president coincides with a mass exodus of vampires from Europe to the United States. After losing his grandfather and mother to the vampires, Lincoln leads the nation into the Civil War. But, this isn’t the same honest Abe and Civil War that you read about it in history books. 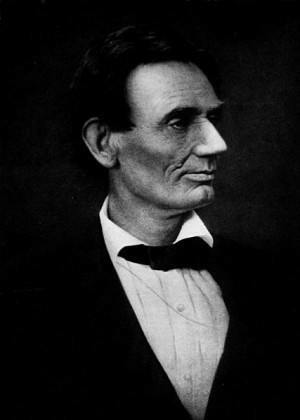 In the movie, Abraham Lincoln sets out to seek revenge on the vampires as well as those who dare to help them, mainly the slave owners. The trailer reveals Abraham Lincoln, played by Benjamin Walker, destroying vampires with an artful swing of his axe, an intense battlefield scene and a duel atop a speeding train. “Abraham Lincoln: Vampire Hunter,” directed by Timur Bekmambetov (Wanted) and produced by Tim Burton, will be released in 3D June 22. So, is a sequel already in the works? Author Grahame-Smith has said that the book leaves the story open for a sequel, and the movie plays like a super-hero origin story. Although a sequel isn’t currently in production, speculation on the internet has already created possible scenarios for a film, in which the former president survives as a vampire.